Every February, San Francisco Beer Week grabs hold of the already vibrant Bay Area beer scene, and cranks it up to 11! In a month where Valentine’s Day is the biggest holiday to look forward to, SF Beer Week is a welcome celebration of all things NorCal beer for a 10-day period. With literally hundreds of beer releases, tap takeovers, and other beer-themed events spanning from February 1 through 10, at first glance, SF Beer Week can seem overwhelming. For beer-loving San Franciscans, the annual SF Beer Week Opening Gala is arguably the best night of the year. 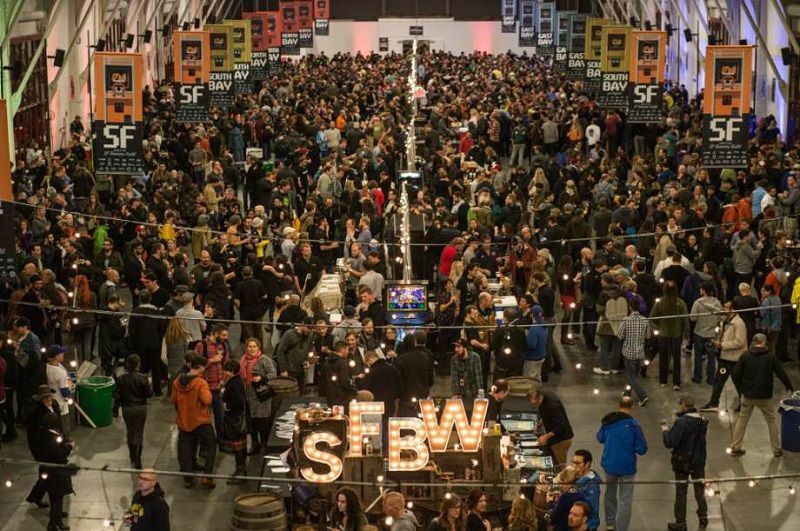 With over 120 Bay Area breweries pouring over 400 different beers (including hard-to-acquire brews like Russian River’s illusive Pliny the Younger), this gathering of the biggest fans and leaders of Bay Area craft beer is well worth the ticket price. Grab your tickets here. 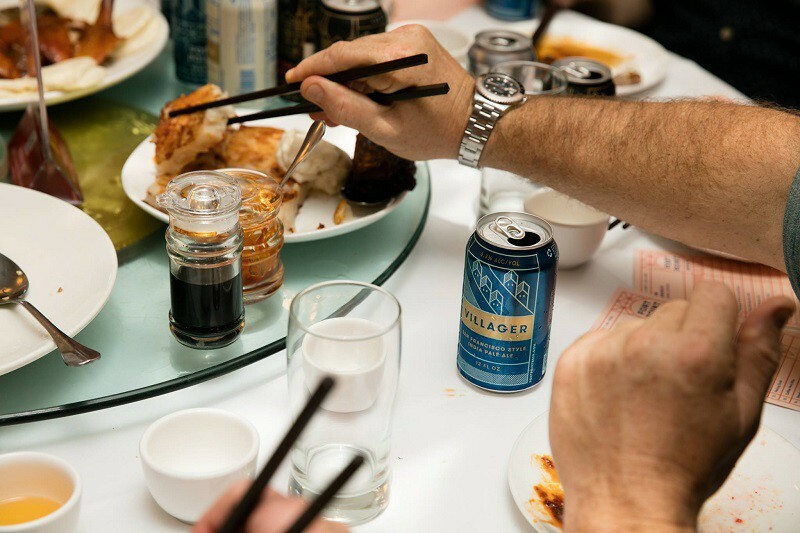 SF Beer Week includes beer & food pairing events aplenty, but the Fort Point Dim Sum Brunch is one of the week’s most unique and long-standing traditions. Hong Kong Lounge is known for having some of the best dim sum in the Bay, but when you mix in some KSA Kolsch to go with soup dumplings, or Westfalia Red with some coffee pork ribs…that, my friend, is next level. This event will sell out, so grab your tickets now. There are no shortage of brewery-hosted Super Bowl parties on the day of big game. 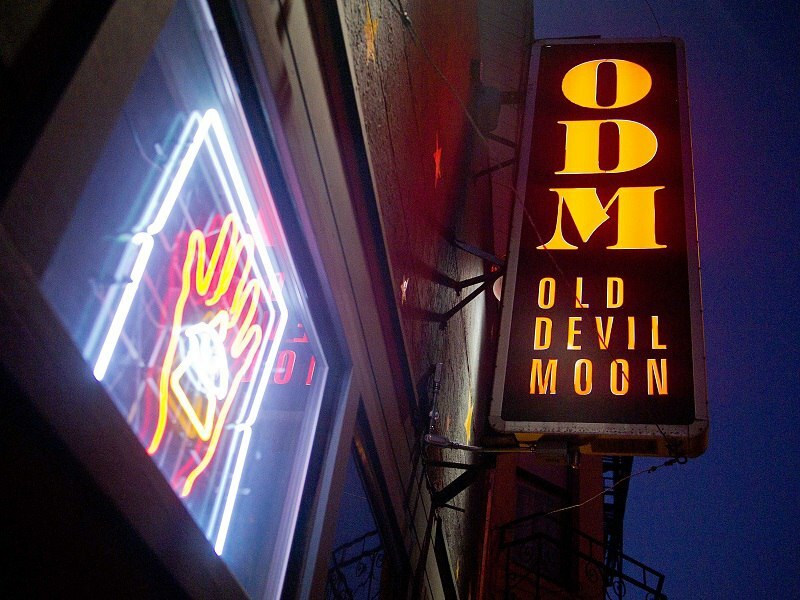 But much like the bar itself, Old Devil Moon’s Superbowl soiree seems to sneak under-the-radar with its sour beer focus. While the game will be shown on a projector, don’t be surprised if the Super Bowl takes a backseat to some of the brews on-hand, including Cantillon’s Rosé de Gambrinus rare raspberry sour. Of course we’re going to plug our own event! 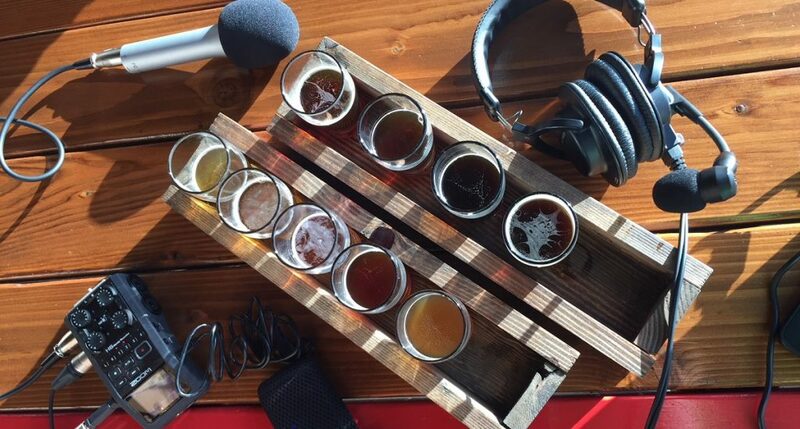 The first ever LIVE Pubcast is taking place during SF Beer Week 2019, featuring San Francisco’s own beer celebrity Kim Sturdavant. By day, Kim is the Brewmaster at Social Kitchen & Brewery, but in recent years, he has perhaps become best known for inventing one of the newest style crazes to hit the beer world: the Brut IPA. In this exclusive interview, Kim will be guiding the audience through a flight of 5+ different Brut IPAs. You’ll hear the stories behind the creation, name, and evolution of the Brut IPA, while trying some of the best representations of the style along the way. Tickets are available for purchase in advance and at the door for $25. 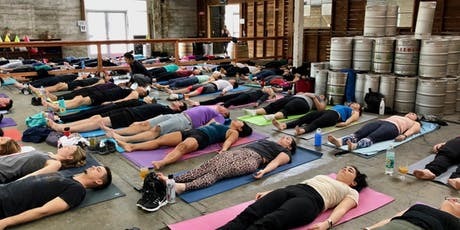 Past Pubcast guests Downward Drinking Dog are still at it, and they’ll be leading this yoga session at the brewery where they first got their start! Come for a full yoga session, complimentary beer, and an opportunity to hang with brewer Alayna Mills as she shares her thoughts on the latest trends in beer. Tickets are available for $25 here. Speaking of past Pubcast guests, Certified Cicerone® Eric Schaefer – a.k.a. 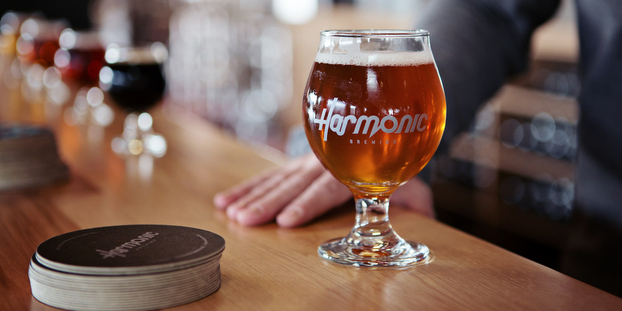 The Hoptimist – from way back in Episode 1 is teaming up with Chef Jason Crayne to bring you a slick lineup of bar bites to pair with Harmonic’s best brews. IPA-citrus-glazed pork belly, mango, and jalapeno skewers with some hazy IPA? Sold! Rye Whiskey Barrel Aged Stout with NY cheesecake? SHUT UP AND TAKE MY MONEY! And on that note, you can get your tickets in advance for $36 right here. Keep an eye out for SF Beer Week’s countless other beer & food pairing events as well. Tap Takeovers are a thing all week long during SF Beer Week, but this one is a standout. Not only is Laughing Monk churning out some amazing beers this week, but mixing in some punk rock at Amnesia is definitely a Pubcast-approved move. 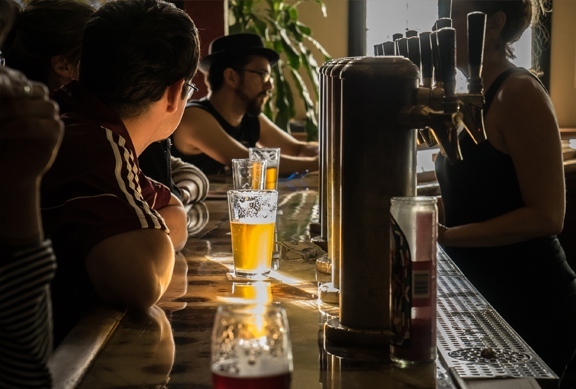 Easily one of the most important events of SF Beer Week 2019, Temescal is hosting a panel that addresses craft beer’s diversity issues head on. In an industry that feels oversaturated with “white dudes with beards,” Temescal has set the stage for a discussion featuring panelists from the beer industry, the African-American community, and Oakland stakeholders. Expect to hear the panelists take on tough questions in this important dialogue starting at 6:30pm, but don’t forget to stick around for the fun. At 8:00pm, the event switches to “party mode” with Oakhella DJ’s Drow Flow and M.C. K~Swift providing the jams, and plenty of beer to go along with it. 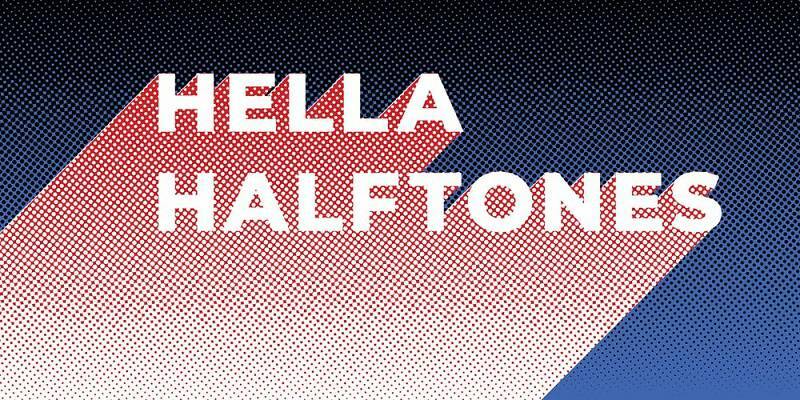 Temescal will also be hosting a Wednesday night panel featuring womxn in the craft beer industry discussing the state of craft beer…another important event that should not be missed! While there are plenty of big beer releases taking place today and throughout the week, it’s important to know that SF Beer Week goes far beyond the Bay’s dense, urban areas. In this case, this bottle release takes place in the tiny Mission town of San Juan Batista. 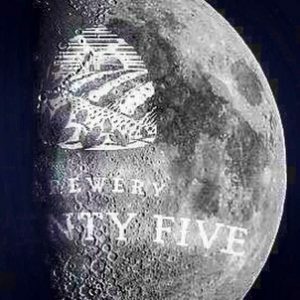 While you’ll want to make sure you get your hands on this hearty stout from Brewery Twenty Five, it might be of equal importance to snag some of the region’s best Mexican food at Jardines de San Juan too while you’re all the way down south. “Decompression” events and beer brunches dominate the final day of SF Beer Week 2019, but we’re giving our nod to this all-out party down in Santa Cruz. 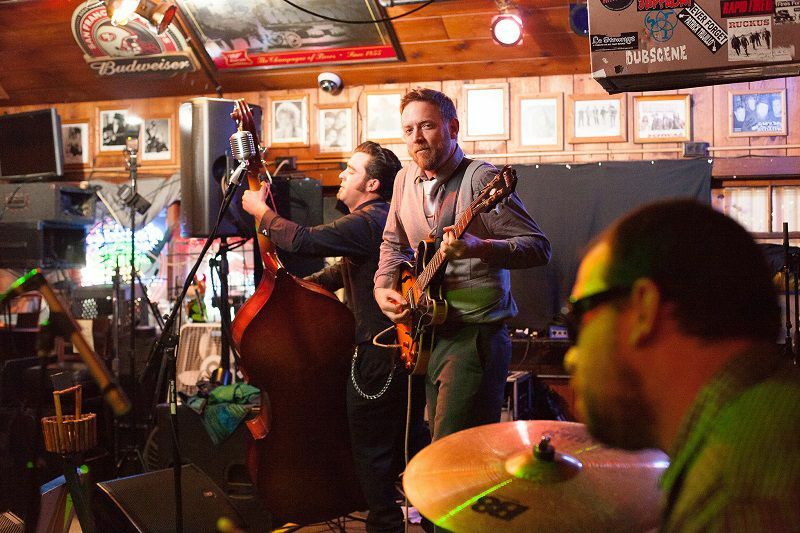 With local blues band Olde Blue bringing the tunes and both Aptos St. BBQ and Mission St. BBQ bringing the ‘Q, this event might as well be called “Brews, Blues, & Barbecue.” Alliteration-aside, it’s sure to be a tasty spectacle to wrap up another filling, hangover-inducing SF Beer Week on a high note. What other SF Beer Week events are you most excited for? What did we miss? Hit us up in the comments below!